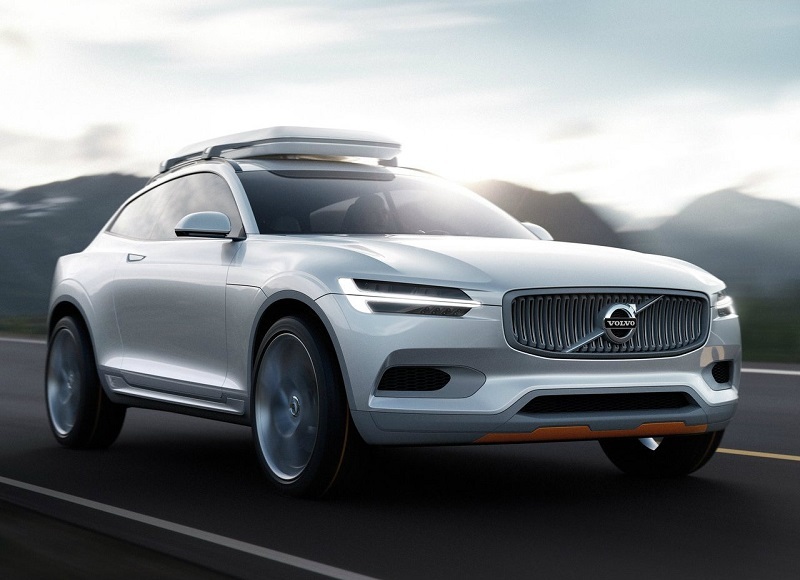 Volvo, the Swedish marquee that is well known for building a few of the safest automobiles world wide, has been working on a new flagship product. The second generation XC90 SUV, codenamed V526, will be showcased at this year’s Paris Motor Show in October. The XC90 will be based on the XC Coupe concept and even if it looks distantly related to concept version in production ready guise, it is bound to turn more than a few heads. The XC90 will be based on an all new platform called the Scalable Platform Architecture(SPA), which will form the underpinnings for next generations of the Series 40 and 60 Volvo cars as well. A GT-bonnet like design is achieved through this platform as it pushes the A-Pillar backward and front wheels forward, which in our opinion lends a lot of character to the car. There will be four cylinder petrol and diesel VEA engines doing duty on SPA based cars and the XC90 is likely to get the most powerful engines from the next generation family of petrol and diesel engines. The new engines are four cylinder units that have been developed specifically for the SPA platform. Turbocharging will be standard across the new engine line up for a better low and mid-range. The top end models for performance hungry buyers will feature turbo-supercharging for outright performance right from the word go. The top of the line engine will be a 300 Bhp turbo-supercharged petrol T6 motor while the fuel sipping diesel motors will get Volvo’s new i-ART injection system for a higher fuel efficiency and lower emissions. The XC90 will also get a hybrid option. On the inside, the new SUV from Volvo will get a 9.5 inch portrait touchscreen infotainment system that was previewed on the Volvo estate concept. The 2015 XC90 will be 4.9 metres long which would make it a good 100 mm longer than the current one. It will grow in terms of width as well, thus resulting in spacious interiors and 100 mm increase in length is expected to go a long way in accommodating the third row of passengers comfortably. The seven seat SUV could come to us through the CKD route. So expect a launch as soon as it goes on sale globally. The SUV will cost north of Rs. 60 lakhs and will lock horns with the likes of the Audi Q7, BMW X5 and the Mercedes GL Class.